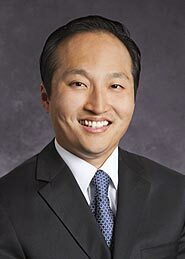 Dr. SangDo Park received his medical school education at Columbia University College of Physicians and Surgeons in New York City where he graduated with the distinction of Alpha Omega Alpha, which is awarded to the highest achieving medical students. He subsequently completed orthopaedic surgery internship and residency at the prestigious University of Pennsylvania, followed by a fellowship in sports medicine/arthroscopic surgery at the Kerlan-Jobe Clinic in Los Angeles. Dr. Park has received numerous awards and honors and has presented his research at both local and national meetings. He has assisted in taking care of several professional teams in Los Angeles (LA Lakers, LA Dodgers, Anaheim Ducks, and the LA Kings). His area of interest is the athletic injuries in patients of all ages and skill levels, and he is dedicated to improving and maintaining the health and lifestyle of his patients. The human body is a resilient piece of machinery, with the extent of its capacity to heal and maintain function still not fully understood. I believe that given adequate time and judicial use of available non-surgical options, many conditions can be treated without surgery. There is no surgery known to man which guarantees 100% success rate with 0% complication rate; hence the decision for surgery is not something which the surgeon or the patient should ever take lightly. It is a shared decision making between the surgeon and the patient which takes into account many factors such as lifestyle, overall health, and the expectation of the patient. The desire and effort in part of the patient are crucial to the patient’s success whether with surgery or with non-surgical options. I believe in working closely together with my patients to help the body heal and to address the needs and expectations of the individual patient.